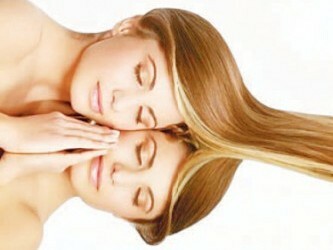 Every woman wants to look beautiful and youthful. But, mistakes in lifestyle, eating or other causes can make our stress and makes our face is not bright. 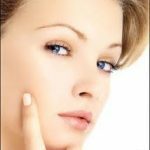 So that you can keep look younger and fresher, following these tips that you can apply. The mind indeed is a very affecting the condition of our bodies. Stress can cause disease. Similarly, in your face, too many thoughts can make your face look older. So, think positive and always accept whatever your problem as something good. Mistakes in choosing beauty products, can have adverse effect on your face. So, get to know your skin type and use the appropriate products. Do not be influenced price or certain brand, but use that really fit with your skin. 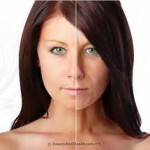 The sun’s UV rays can cause dark spots and wrinkles on the face. Protect your face using sunscreen if you must leave the house. So your face will still look clean. 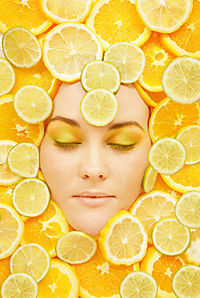 The content of vitamins and minerals contained in fruits and vegetables is very useful for face freshness. Your health would be better to consume them. Enough sleep helps the body to repair damaged cells. So, get your sleep at least 8 hours a day so this requirement is fulfilled. Although sometimes difficult to make time for exercise because of feeling tired after a day of activity, but insist that you take time to exercise at least 2 times a week, so that your health is maintained. With a appropriate makeup trick, you can also look young and beautiful.